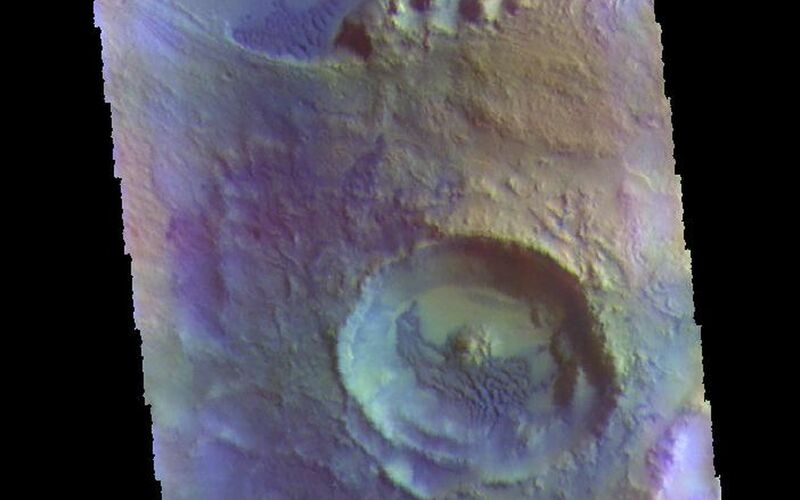 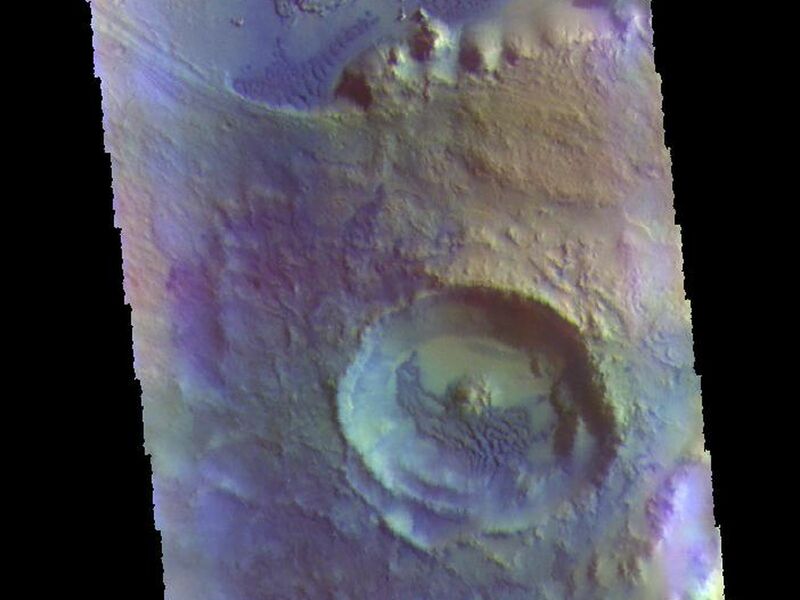 This VIS image is located in an unnamed crater in Arabia Terra. 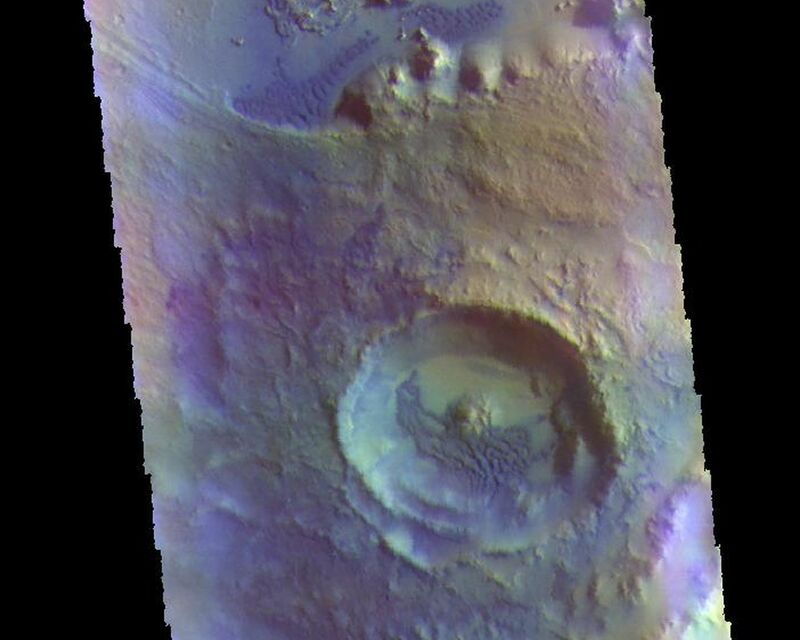 Dark blue tones in false color indicate basaltic sands. 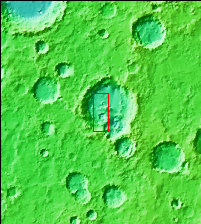 These sands have created the dunes seen in this image.